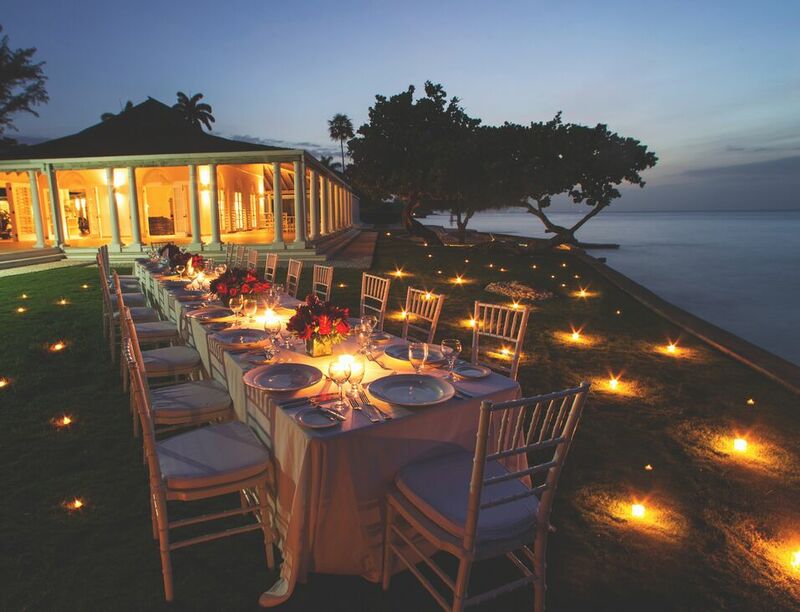 Phoenix Villa in Montego Bay is one of the most exclusive villas in Jamaica, particularly because of the fabulous location it enjoys. 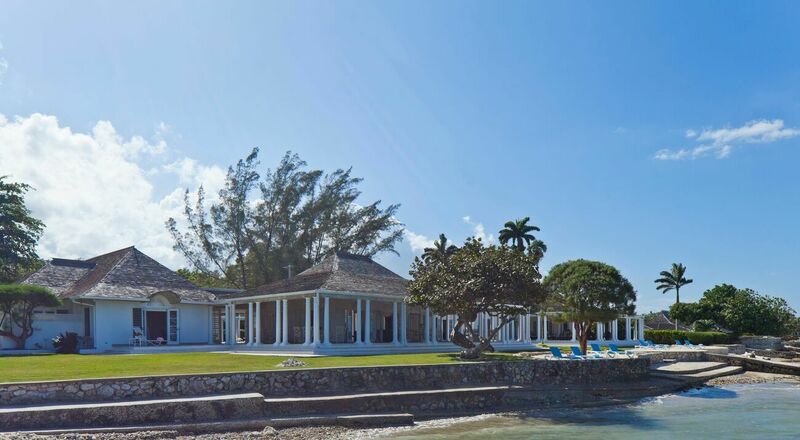 With two private white sand beaches and wide seafront verandahs, the traditionally constructed Jamaican villa enjoys gentle sea breezes and the musical sounds from the lapping waves of the Caribbean Ocean, making it literally a tropical paradise. 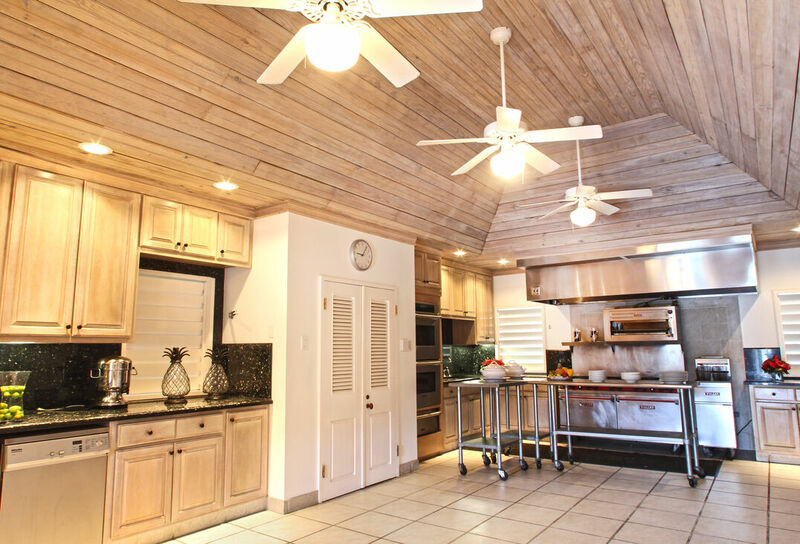 Being located within the renowned Tryall Club Resort, Phoenix Villa provides picturesque views of the Tryall Golf Course and the shimmering waters of the sparkling Caribbean Sea. 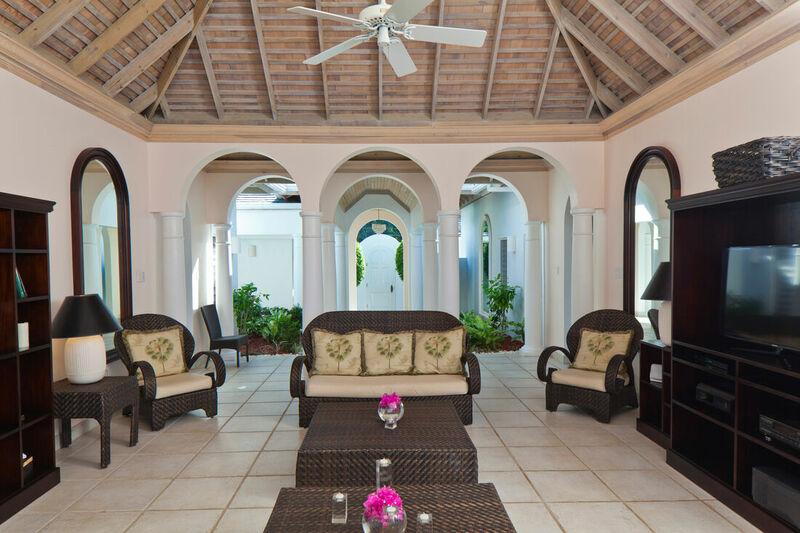 Furnished in wrought iron and wicker, the simplicity of the décor makes Phoenix Villa a welcoming home with a comfortable, relaxing and elegant environment. 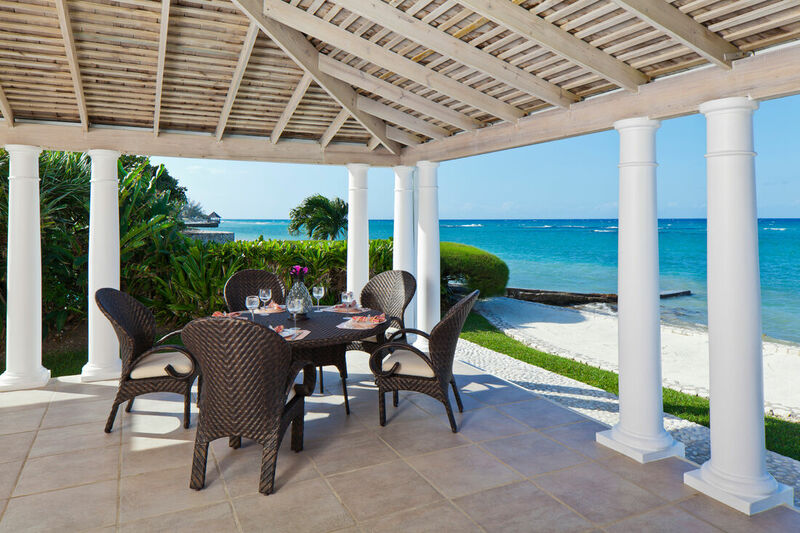 The seaside verandahs are perfect for dining casually during the day or at night, with fabulous views of Montego Bay. 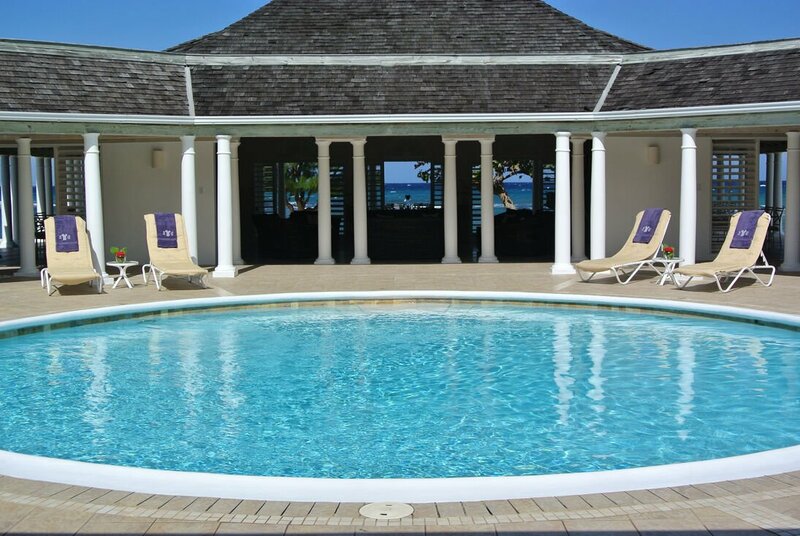 The 35’ circular swimming pool is another fantastic place for having meals, safe from the trade winds. The poolside wet bar ensures a continued supply of refreshing tropical drinks. The glamorous glass topped dining table in the dining pavilion, beneath the glorious crystal chandelier is the perfect setting for formal candle lit dinners. French doors all around the Living Pavilion in Phoenix Villa, give it an airy and bright environment. 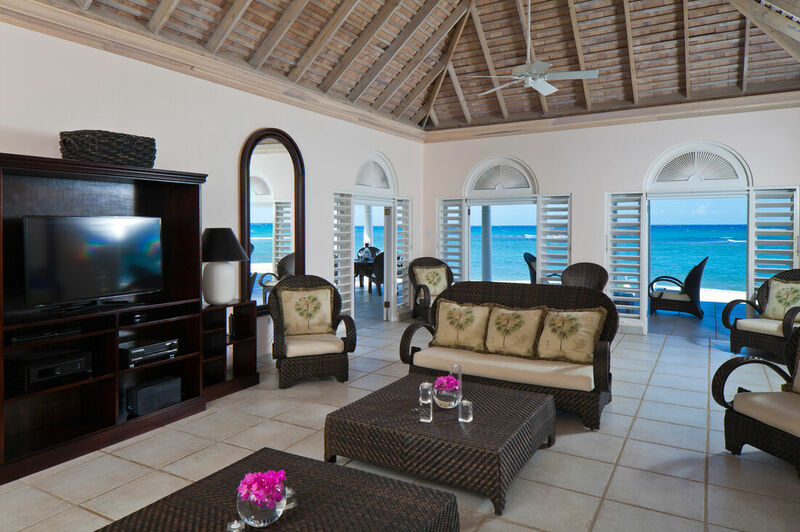 The living pavilion is furnished with a flat screen television, DVD player, CD player and standing bar. 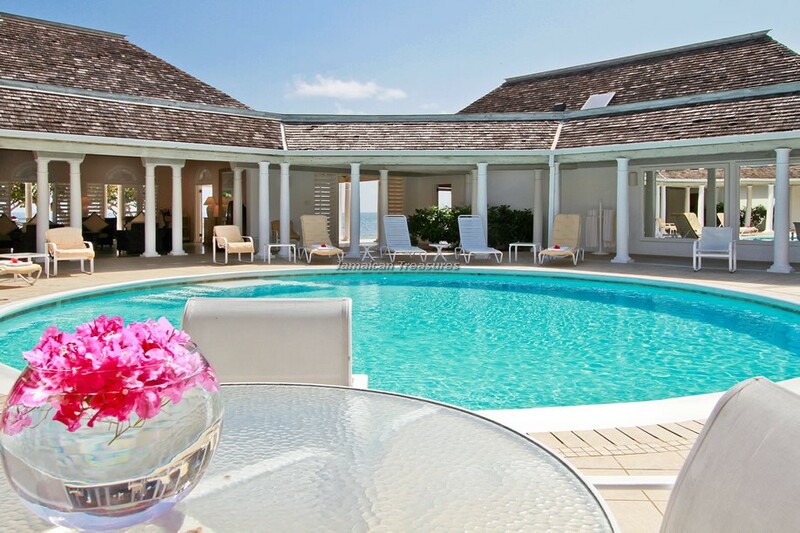 The French doors on three sides lead to the extensive verandah and a private beach. The fourth side has columned arches leading to the centralized swimming pool. Whether the guests are looking for a shady nook or a sunny spot, they are bound to find the perfect one around the pool patio, to take a snooze, read peacefully or simple lounge with friends and family. A remarkable feature of Phoenix Villa is that the walkways and verandahs are covered partially, providing protection from sudden showers or the sunshine. 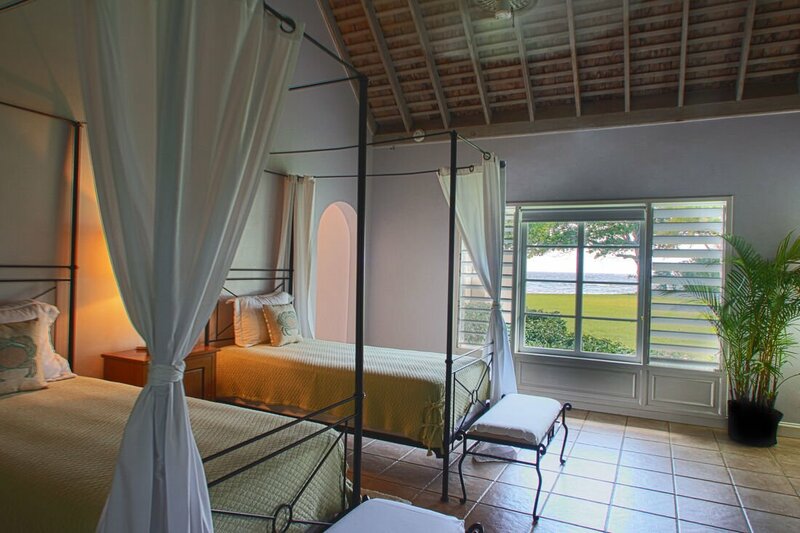 All rooms in the villa are on one level and can be accessed through the covered passages. 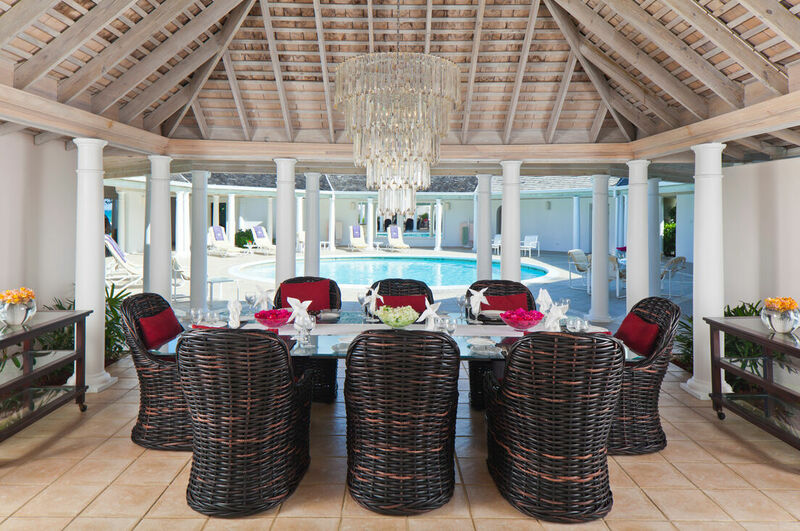 The villa is architecturally structured in such a way that it takes maximum benefit from prevailing trade winds, making ceiling fans and air-conditioning unnecessary at most times. 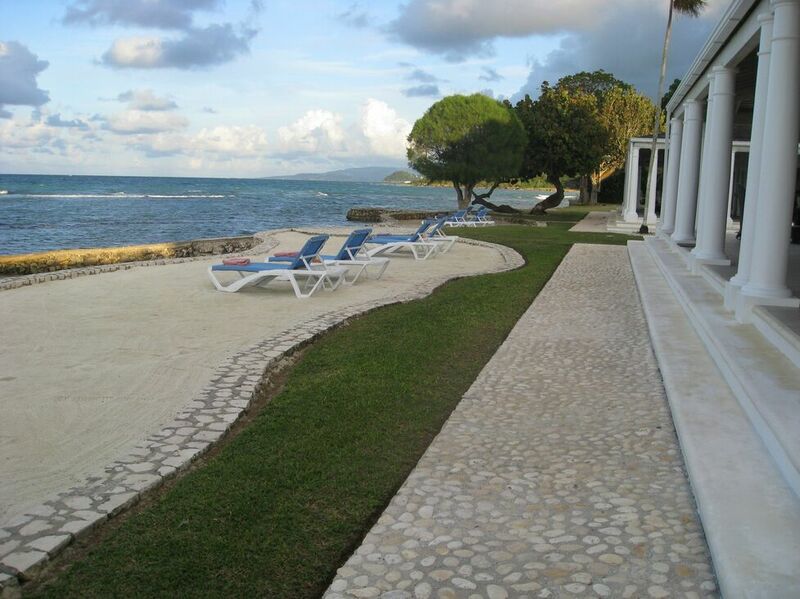 The seven bedrooms at Phoenix Villa are very large and have en suite bathrooms. Other facilities in the bedrooms include high ceilings, four poster king-sized or twin beds, French doors and windows, air-conditioning, individual safes, flat screen televisions, cable services and MP3 players. 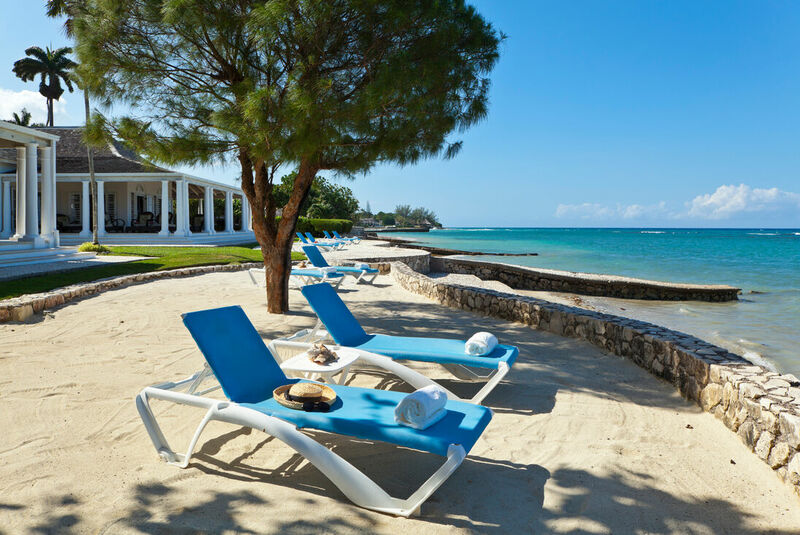 Three bedrooms face the seaside, while the other four face the beautifully landscaped gardens or open onto the pool terrace. 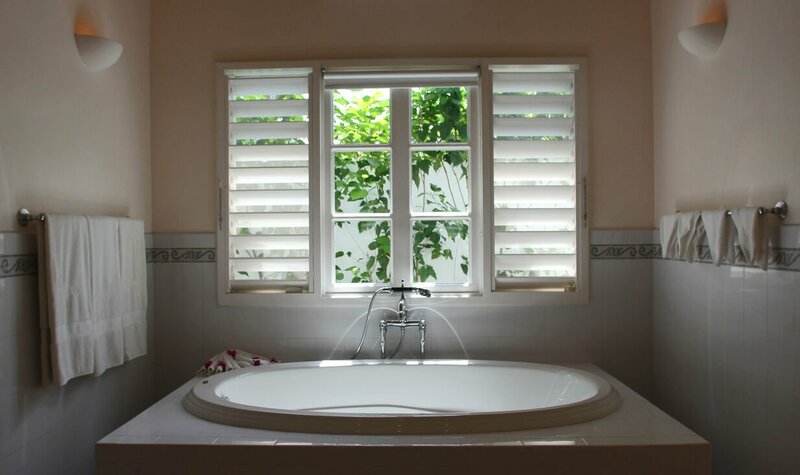 Stepping through the French windows in all the bedrooms, guests can reach the verandah and the sandy beach, a facility unparalleled among luxury villas Jamaica. 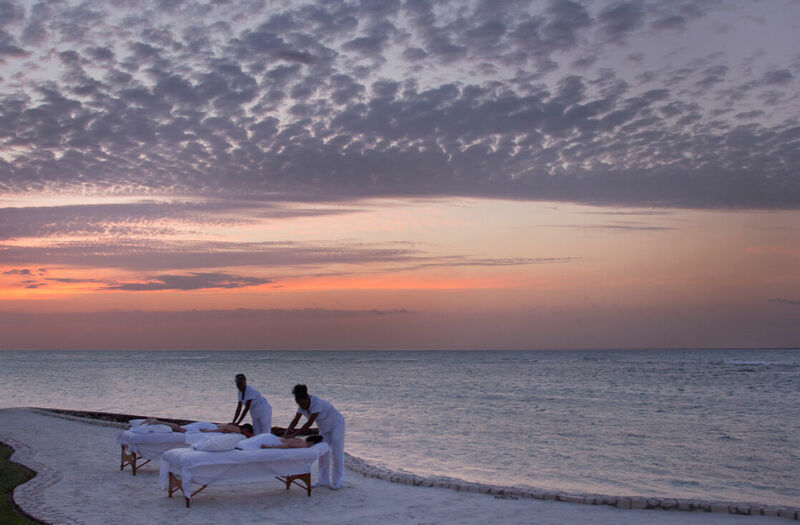 The villa’s private staff of six includes a butler, cook, laundress, gardener and two housekeepers. Guests at Phoenix Villa have a complimentary golf cart at their disposal. 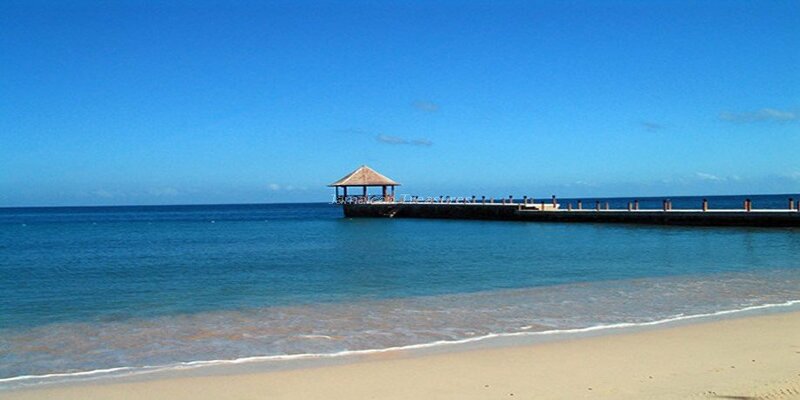 A complimentary shuttle is also available to take guests to the well-known Tryall Resort. 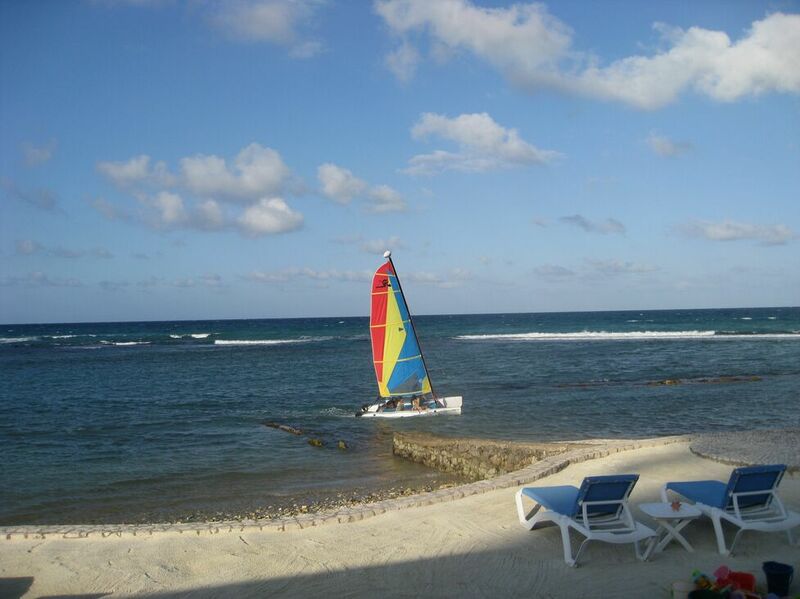 Visitors at Phoenix Villa can also utilize their Tryall membership and enjoy the various facilities offered by the famous Tryall Club, including complimentary beach, gym, pool, tennis, non-motorized water sports, Internet room and jogging trail. 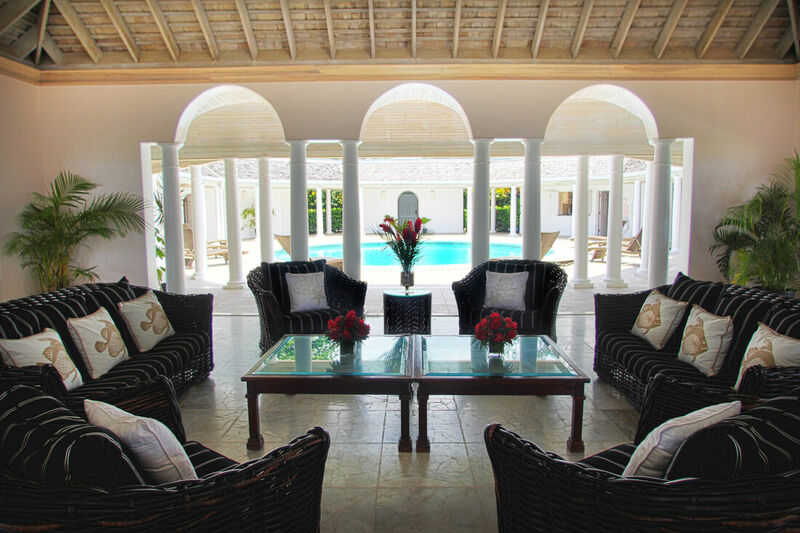 The numerous facilities, a luxuriant ambience, beautiful location, sophisticated décor, extensive gardens and proximity to Tryall Resort, make Phoenix Villa one of the most exclusive villa rentals in Jamaica. 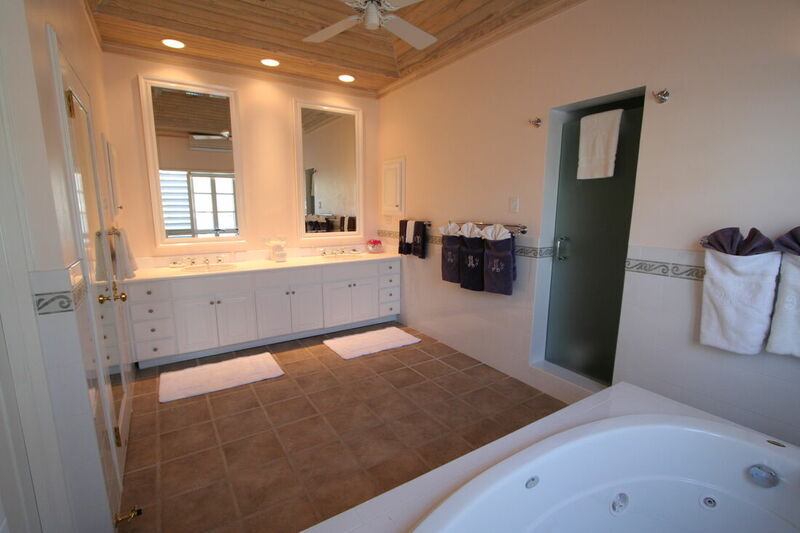 All seven bedrooms have en-suite bathrooms and flat scren cable television. Kingsize or twin beds at guests' option. En-suite bathroom with tub-shower combination.